We have received many queries recently from customers concerned about traveling abroad with their personal cell phones and keeping their data safe from unwanted searches. When you’re entering the United States, federal agents have wide-ranging authority to search citizens and visitors, increasing the risk of having personal data stored on your phone inspected. This isn’t limited to the United States – foreign and domestic governments may have an interest in your personal data as well. “We have seen a climb in phone rentals and phone purchases in the past 18 months because of the similar situation in China and Korea and in some Middle Eastern countries,” said Ian Benson, CEO of Wireless Traveler. Personal data covers many things – anything from your social media accounts to pictures to contact information is fair game. The best way to prevent your information from being searched is to travel with a device that never had any of your personal data on it in the first place. A throwaway, or “burner” phone, is one such option. Basically, this is an inexpensive smartphone that you purchase or rent specifically to use while abroad. 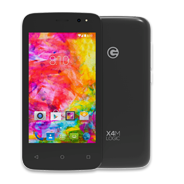 One of the more popular phones from Wireless Traveler is the Logic X4M Android. Keeping your own phone at home means you don’t run the risk of having it stolen or lost while traveling, and you have the added benefit of it not getting searched or taken at customs. 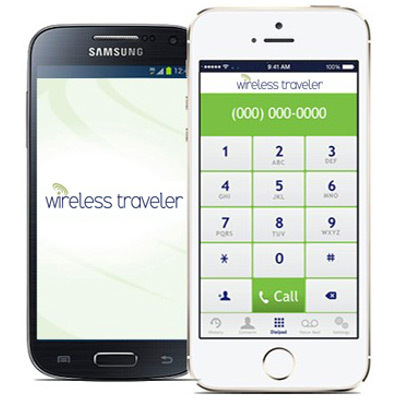 Many companies buy or rent smartphones from Wireless Traveler. These phones are specifically for their employees to use while traveling abroad. “We provide corporations with reliable smart Android phones for around $100 a phone. It comes with our Wi-Fi Calling App already loaded which offers low cost calling – 2¢/minute back to the USA,” said Benson. The phones are recycled when the employee returns, ready for the next time someone travels abroad. There are no monthly fees for this service, making it another added attraction. China has been notorious in the past for monitoring activity on visitor’s phones. “This is one of the reasons why many of our corporate clients take a Wireless Traveler burner phone when they travel to China, rather than their regular cell phone,” said Brenda Benson, Senior Vice President of Marketing. If you take a burner phone with you on an overseas trip, there are two things you should do before you get on the plane to return home. First, back up any personal data that might be on the phone (contact info, pictures you took, calendar updates, etc.) to a cloud service. And then, wipe, or erase, all the personal data from the phone before you arrive at customs. Wireless Traveler, the Wireless Traveler logo and all other Wireless Traveler marks contained herein are trademarks of Wireless Traveler LLC and/or Wireless Traveler affiliated companies. © 2019 Wireless Traveler All rights reserved.